A child without education is like a bird without wings and to impart education a good school is one which takes care of its pupils in a manner that enables them to get a sound foundation for dealing with life. A.P.S. No. 2 Roorkee aims at the holistic development and nurturing of the unique qualities of each child entrusted in our care. 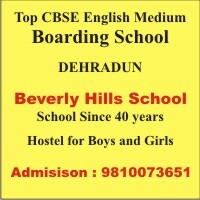 Spread over an area of 13.323 acres and pollution free atmosphere of Roorkee - ours is a co-educational English medium school affiliated to CBSE, established in 01 April 2012. Our school provides quality education to children from class I to XII.